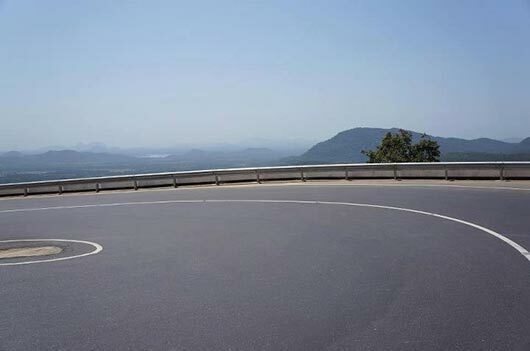 President Mahinda Rajapaksa yesterday noted that an improved road network has reduced travel time between areas, supplemented development and established closer links between people. “The government’s emphasis on developing roads has ensured that people spend less time for travel and have more time for work. I feel like the country has become smaller due to improved roads” the President added. 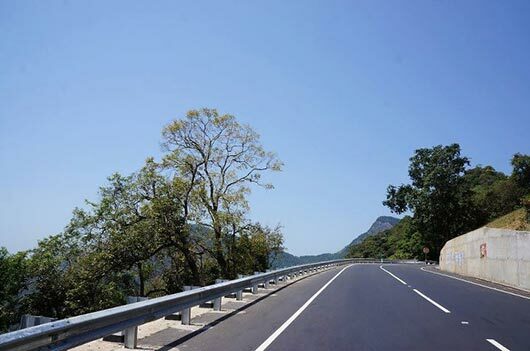 The President was addressing a large crowd in Ududumbara, after declaring open the renovated, ancient 18 Bend(Dahata Wanguwa) road on Kandy – Mahiyangana road. The renovation work cost of Rs.5,000 million. The President before opening the road drove his vehicle the entire length of the Dahata Wanguwa. Speaking of his experience he told the crowd that such experiences for him were a rare occurrence and added that he had done it after he drove a car during the opening of the Southern highway. President Rajapaksa also said the government while building better roads for vehicular traffic was also conscious of the safety of the pedestrian and added that to ensure the above he had instructed officials to include separate lanes for pedestrians when planning and development of major roads in the future. Speaking on the Kandy-Mahiyangana road, he said the development of this historic road was neglected by successive governments. “They neglected the development of rural areas in the same manner,” he added. He also observed that these development activities have helped the country to become self sufficient in rice and they plan to extend this to liquid milk production as well. “We are planning to provide every child in the country a free glass of milk in the future,” he added. He also emphasized on the need to become self sufficient in other food production by imcreasing production. The President also emphasised the need to accelerate development to achieve equal distribution of resources and facilities to all areas at the earliest possible time. However on the same note he said the government was not prepared to subjugate religion, good moral habits, traditions and customs of the country and nature in the name of development. He also requested the people to look after these newly built roads and not to misuse them. The re-construction work of the road was carried out at an estimated cost of five billion rupees granted by the Asian Development Bank (ADB). 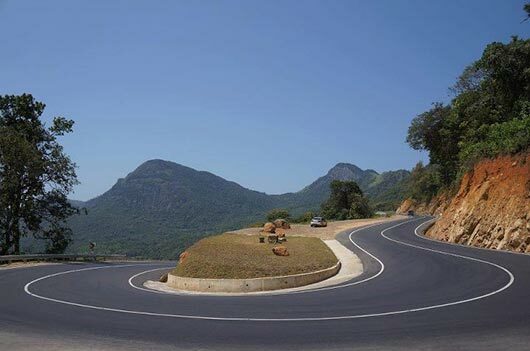 The 41 KM long road was widened to 15 metres and carpeted from Udathenna to Mahiyanganaya. The entire stretch of road includes 10 bridges and 320 box culverts with 37 widened culverts. Renovation work on the 18 bend road which commenced in April 2008 completed construction in less than four years providing motorists a safer and a comfortable journey reducing travel time from four to 1 ½ hours. Yesterday’s ceremony was also attended by Sports Minister Mahindananda Aluthgamage, Ports and Highways Deputy Minister Nirmala Kotalawela, Central Province Chief Minister Sarath Ekanayake, MPs Lohan Ratwatte, Earl Gunasekera, Shantha Bandara, ADB Country Director Rita O Sullivan, government officials and a large gathering. Well Done Mr President. I know some of your critics will not agree but these roads have been neglected for years and its about time the people had decent roads to trvel on. I raise my hat to you Mr President. This is certailnly a big step towards development of the country. I am sure Sri Lnakans as well as torists will apprecite the new roads as against the old bumpy slow roads. can we please use one of these pictures for a report to be published by the World Bank?